Construction and Engineering Law– litigation, adjudication and arbitration, including international arbitration. General Commercial Law – litigation and arbitration. Michael’s general commercial practice covers a broad spectrum of commercial law matters and disputes including banking, insurance, insolvency, contract, company, corporate, administrative, property law, delict and professional negligence matters. Michael’s construction and engineering law practice and experience encompass disputes arising out of a variety of projects ranging from major infrastructure projects to commercial, industrial and residential projects. The matters in which Michael has acted or is acting concern inter alia coal fired power stations, a pumped storage scheme/hydro-electric plant, piping installations and projects, a national fibre optic communication line installation project, international sports stadia, runway extensions, national roads, mines and mining projects, process plants and manufacturing plants of various types, roads, sewer services and storm water services and other industrial, commercial and residential construction projects. Michael is regularly briefed to act on behalf of large local and international entities, corporations and joint ventures and is often briefed in complex and lengthy arbitrations. In addition to his significant experience in adjudications and arbitrations, both local and international, Michael has wide experience in motion, trial and appeal court proceedings in various divisions of the High Court and the Supreme Court of Appeal in South Africa, as well as in Botswana and Swaziland where he has been admitted and has appeared before Tribunals and the High Courts. Prior to being called to the Bar during 1998, Michael served his articles of clerkship at a leading Johannesburg firm of attorneys during which time he successfully completed the Attorneys’ Admission Examinations and qualified to be admitted as an attorney of the High Court of South Africa. Michael underwent his pupillage in Group 2 Sandon, one of the predecessors to the Maisels Group, where he has practiced as a member since commencing his practice in 1998. In addition to appearing in numerous matters as the sole counsel, Michael has been privileged to work with and be be led by many of the leading silks at the Johannesburg Bar and is also briefed as the lead council, leading junior counsel in various matters. Michael receives regular nominations to act as adjudicator or arbitrator in both construction and commercial disputes. Michael has worked regularly and extensively with leading international and local experts, including, for example, engineers from all disciplines, quantity surveyors, delay analysts and programmers and planners, metallurgist, architects, corrosion protection specialists, forensic auditors and other forensic specialists. 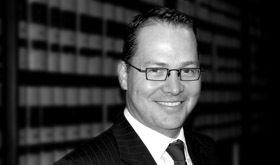 Michael has mentored and been the pupil master to six pupil members of the Johannesburg Bar (in 2005, 2006, 2008, 2010, 2012 and 2015), all of whom successfully completed the National Bar Examinations and commenced successful practices in the Maisels Group at the Johannesburg Bar. In 2017 Michael was appointed as the Maisels Group’s pupil co-ordinator. In addition to fulfilling that role Michael established a programme offering additional mentorship and support to the pupils in the Maisels Group. Michael has also lectured the pupils of the Johannesburg Bar on civil procedure and evidence and serves on sub-committees of both the Johannesburg Bar Council and the Maisels Group Management Committee. The major part of Michael’s practice consists of adjudications and arbitrations, which, due to their private and confidential nature, are not reported. Other matters in which Michael has acted that have been reported or published include those listed below.